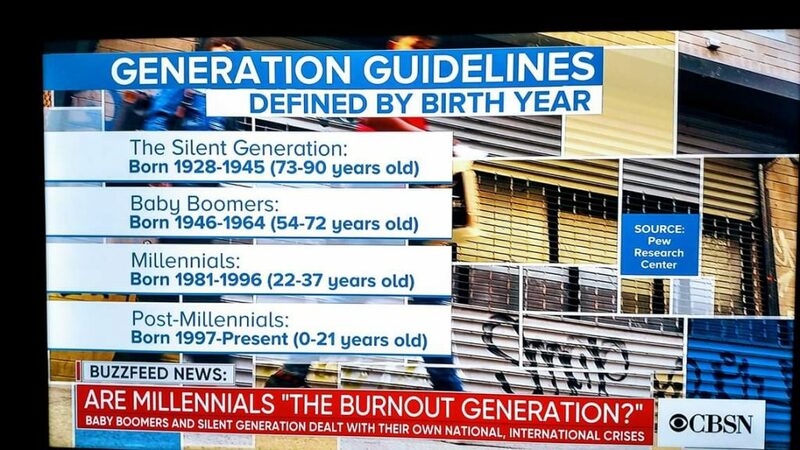 GenX was too depressed about having to do yet another bunch of stupid graphics about the all-important Boomers and millennials to include itself in the list. This entry was posted in Uncategorized on January 22, 2019 by cleek. IMHO, all generalizations about “generation” have approximately the same analytic power. Might as well argue about astrological signs.